Photo editing software, design programs, drawing software, programs for editing images, programs for free download Digital Photo Organizer, EasyPhotoImager, My Screen Capture, PhotoMarks, Postimage, SpeedyPainter, RoboSizer, Coolutils Photo Viewer, Photo Filter Factory, Jomic Download for free! »» Free download Digital Photo Organizer! Digital Photo Organizer allows batch processing and application of different filters. EasyPhotoImager is used especially to change the size of the images. »» Free download My Screen Capture! My Screen Capture ::: a computer program that allows users to take screenshots. Using My Screen Capture can capture the entire screen, a specific area or an active window. My Screen Capture is a simple, stable, safe and very effective software. PhotoMarks ::: a computer program that allows users to work with digital photos. PhotoMarks is a stable, safe and very effective software. Postimage ::: a computer program used to take screenshots. Using Postimage can capture any part of your computer screen. Postimage is a simple, stable, fast and very efficient software to take screenshots. SpeedyPainter ::: a computer program that allows users to draw using the computer. Using SpeedyPainter can draw different types of geometric objects, buildings, vehicles or boats. SpeedyPainter has many tools for drawing and painting, which helps a lot to create very realistic paintings. RoboSizer ::: a computer program that allows users to work with digital photos. Using RoboSizer you can resize all your digital photos. RoboSizer is a simple, stable and very efficient program for digital image editing. 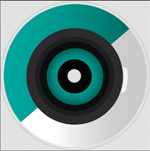 »» Free download Coolutils Photo Viewer! Coolutils Photo Viewer ::: a computer program that allows users to view photos. Using Coolutils Photo Viewer can View pictures in the most popular photo formats. 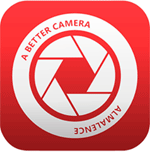 Coolutils Photo Viewer is an advanced, compact and innovative viewer. »» Free download Photo Filter Factory! Photo Filter Factory ::: a computer program that allows users to edit photos. Using Photo Filter Factory can apply various special effects to your photos. Photo Filter Factory allows adjustment of color, apply various filters, rotating and cropping photos. Jomic ::: a computer program that allows users to read comics. Using Jomic can view and read comics in the most popular formats. Jomic is a simple, stable and very useful comic book viewer.